Any plans on Axiom producing a three way bookshelf similar to Bryston's Model T mini. That would of course use the one inch tweeter and could have a 5.25 inch dedicated midrange speaker and use the 8 inch woofer that is in use in the EP125 subwoofer to allow it to extend down to 40 hz. I had to put off my planned purchase of a pair of M80's and came across the Model T mini on the internet and was very intrigued. Dubious. Axiom doesn't make any other speakers with an 8" woofer. Here a link to the Bryston Model T minis. My understanding is they where developed in conjunction with Axiom and are being produced at the Axiom factory. I think Ian prefers to things that other companies don't do to differentiate his product from the rest. Though axiom had a hand in the design and building of the Model T Mini , that is James Tanner's vision. I personally like the 3 way design like the Model T Mini's and built my own using axioms drivers. The sound the same as my M2's ,which says to me that the size of the drivers is not relevant when using a sub to handle the low end. Socketman, what your saying is true. I just think there is a market out there for that type of speaker. What size driver did you use for the woofer in the speakers you built? I used drivers from the M80, 1x tweet, 1x 5.25 Mid, 1x6.5 woof and used a program called Xover 3 to design the crossover. I stuck close to the size of a M22 and also the crossover points Ian uses. 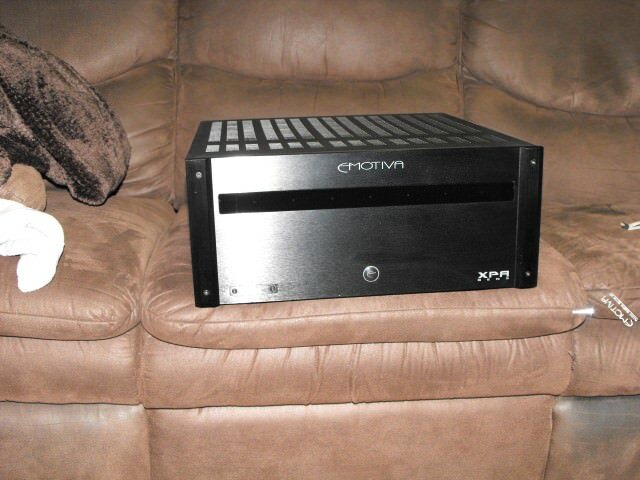 Bear in mind I have never done any frequency response test or anything like that yet but they sound good to me,i use them mostly for 2 channel though they are on my surround sound receiver in my bedroom. I did it mostly because I already had the drivers, but also gave me a project to do in the shop. It was more expensive than if I had bought them already made but it was fun. If Ian thought there was a market for it, he'd be making it already. If you like the Brystons, you should buy them. Just because it costs more and was developed with Axiom does not mean it is better. Pricing is part of marketing. Axiom makes terrific products. Axiom is an R&D company. They have spent the last 30+ years designing and marketing loudspeakers. I think it is pretty safe to assert that Ian has considered and tested just about every configuration. Tomtuttle. The Brystons are a little out of my price range. I like the price to performance of Axiom speakers. I own a pair of the M2's that are set up in my bedroom and really enjoy them. 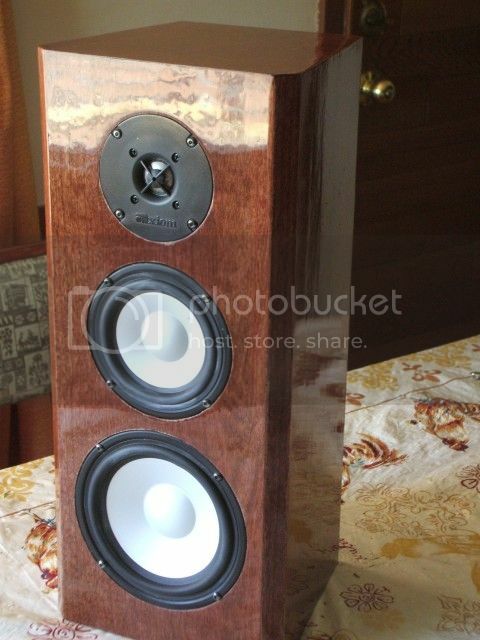 Like I posted I was intrigued by the Bryston minis configuration and three way design in a bookshelf speaker. Axiom does not have a three way bookself. I figure the larger speaker enclosure would help them extend a little deeper than the M22's and the dedicated midrange would also give a little more detail and dynamics. When I was at the factory last summer, Ian showed me an experimental speaker that sported the outstanding 8" driver from the EP400 sub although I forget what drivers were above it. After many months of wonderful listening to my M2s plus an EP-400, I often wondered what a small floor stander using the M2 innards up top with the EP400 innards (with amp) on the bottom in one cabinet would sound like. I betcha it would be an absolute killer by being able to reach down ~20Hz (with variable bass gain) combined with the great articulation of the M2s.